Since the onset of our love affair with Omega-3, a tried and true essential fatty source for a clear, dewy complexion has sadly fallen by the wayside. That would be gamma linolenic acid (GLA)the essentially "good" Omega-6 fatty acid that I've been recommending to my clients since the early 1980s after I began witnessing firsthand the remarkable healing and beautifying effects it produces. GLA increases cell resilience and moistens the fatty layer beneath the skin making it an extraordinary internal moisturizer. Over the years, I've received an untold number of testimonials reporting substantial improvement in a wide variety of common skin conditions, ranging from garden variety dry skin patches to eczema to psoriasis. For those wanting to give acne the boot once and for all, GLA is a fantastic Rx for that, too. It inhibits the androgens (or male steroid hormones) thought to cause skin disorders, like acne, as well as common baldness, and seborrhea. Plus, as a natural anti-inflammatory, it has also been shown to restore energy, and improve allergies, asthma, and other inflammatory conditions. The trouble is, you're very likely deficient in it. Among my clients who have taken a blood test that measures overall Omega status, I've found that on average a startling nine out of ten have very inadequate levels of GLA in their bodies. Biologically, the skin requires a steady supply to retain moisture and stay supple and smooth. Without sufficient GLA cellular membranes cannot retain moisture, leaving the skin with a dry rough appearance. So, why are so many of us deficient in GLA? It is a matter of conversion. The richest natural precursor of GLA is safflower oil. This type of oil contains cis-linoleic acidwhich in optimally healthy metabolism within the bodycan be transformed into GLA. But sadly, the overconsumption of conventionally raised dairy and meat and under-consumption of Omega-3 sources (think oily fish, flax and chia seeds, nuts and leafy greens) is a stumbling block to this healthy conversion. Our typical American diet has left us with an abundance of inflammation-producing prostaglandins (PGE1s) which inhibits GLA production. The late Dr. David Horrobin at the Institute for Innovative Medicine in Montreal explained the importance of GLA and its healing anti-inflammatory prostaglandins: "The level of PGE1 is of crucial importance to the body. A fall in the level of PGEs will lead to a potentially catastrophic series of untoward consequences including increased vascular reactivity, enhanced risk of autoimmune disease..."
Even if your diet offers high amounts of unprocessed, unheated and non-GMO safflower, corn, and sunflower seed oils, you may not be getting your daily fix of GLA. The process of converting linoleic acid in these oils to GLA can also be thwarted in numerous ways due to "lazy" or impaired enzyme activity of the D6D enzyme which biochemically converts linoleic acid into the biologically potent GLA. The synthesis of GLA in the body can also be interfered with by a variety of lifestyle factors, including excessive intake of saturated fats, alcohol and/or caffeine consumption, smoking cigarettes, high cholesterol, and deficiencies in zinc, magnesium, and vitamin B6. These common factors make the production of GLA in the body unreliableas well as simply getting older. GLA can be a life-saver and tremendous confidence booster for those who are impacted by psoriasis and eczema. A number of clinical studies have proven GLA as an effective treatment for the nearly 20 percent of all Americans with these frustrating conditions. Whether you're striving to soothe a serious skin condition or simply want to sport a healthy, glowing look, you can begin the beautifying benefits of GLA using internal or external methods. Internally, I have found that black currant seed oil offers the most balanced form of GLA for long-term use. The reason being that black currant also contains a hefty dose of the Omega-3s, preventing inflammatory prostaglandin production that can occur with an abundance of Omega-6s in the diet. For red itchy skin and other inflammatory problems, I recommend that adults take a minimum of 360 mg of GLA dailypreferably from the more balanced softgel form of black currant seed daily, with meals. Some individuals need to increase to at least 3 grams per day to experience benefits. Topical application of the "good" Omega-6 essential fatty acids like those in GLA results in more luminous, smoother and firmer skin day in and day out. Besides giving you a dewy complexion, essential fats from black currant seed oil or borage can provide sheen for your hair and softness to your skin. Without them you can experience thinning hair, splitting nails, scaly or dry skin. GLA has a tremendous impact on your skin by increasing your body's energy production and creating more cell resilience and a strong moisture barrier. It's also important to note that GLA is terrific for people of all agesincluding infants! Plus, you can yield GLA's benefits all year long with the changing conditions. 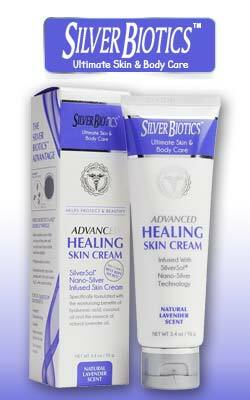 In the winter, it's especially helpful to fight against the dehydrating and irritating effects on the skin during this cold, bitter time. In the summer, it offers protection against damaging UVA and UVB rays and can be used to treat the swelling, pain, and redness caused by an accidental sunburn. Immune booster. GLA production decreases with viral infection or illness. Supplementing with GLA helps safeguard immune defenses. In fact, when GLA (with EPA) was given to chronic fatigue sufferers, their symptoms improved dramatically. Cholesterol reducer. A reduction in PGE1 wreaks havoc on cholesterol levels. Taking 250 to 1,000 milligrams of GLA daily has been shown to increase PGE1 levels while reducing cholesterol. Cancer fighter. In one study, terminally ill patients suffering from pancreatic cancer tripled their life expectancy after taking extensive doses of GLA. It is also believed that tumor growth and metastasis can be quelled with GLAespecially in melanoma and colon or breast cancer. Arthritis reliever. Mobility, morning stiffness, and inflammation have all been eased by GLA supplementation, which helps suppress T-cell proliferation. One study also found that patients were able to reduce their usage of potentially harmful NSAIDS while they were taking GLA supplementation. MS halter. Of the patients responding to GLA supplementation, around 40 percent experience the disease either retarding or stopping. It took higher doses or 500 to 1,000 milligrams of GLA to achieve the benefit. Diabetic support. GLA has been shown in conclusive studies to stop the progression of nerve disease and help with nerve functions. Additional studies suggest that GLA may even be a catalyst in hindering nerve deterioration at the start. For any age and stageand for conditions ranging from the cosmetic to more serious in natureGLA is an essential element for skin that you will love to live in!